Exceptionally easy sanding body filler. The ease of sanding is are attributed to Hattonite™, a unique ingredient which reduces heat and friction created by aggressive sanding. 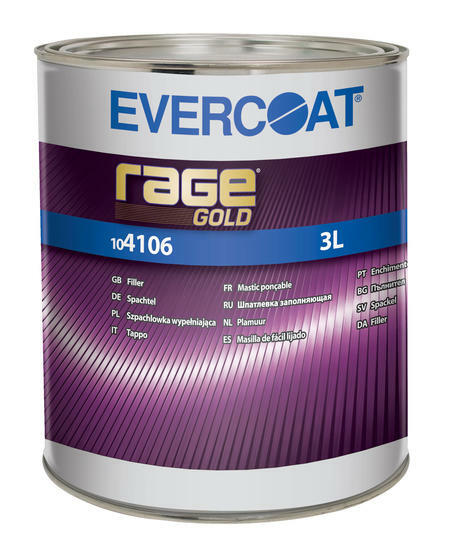 Rage Gold also contains ZNX-7® for adhesion to galvanized steel and aluminum. 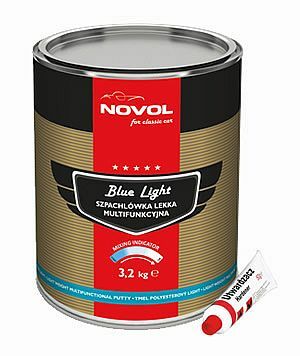 Plus, it’s stain resistant for use with basecoat/clearcoat paints. Part of the MetalWorks® System. CLEAN – Clean and degrease the body panel to be repaired. STRAIGHTEN PANEL – Straighten the panel to be repaired as needed. PREPARATION – Sand and feather-edge the area with 80 grit to remove only the clear coat and base coat, then remove sanding dust with clean compressed air. 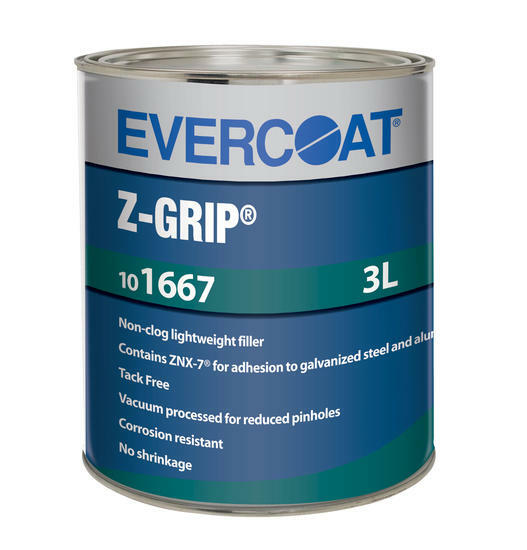 APPLY FILLER – Apply Evercoat filler with even, firm pressure in a thin coat, then apply additional material as needed. 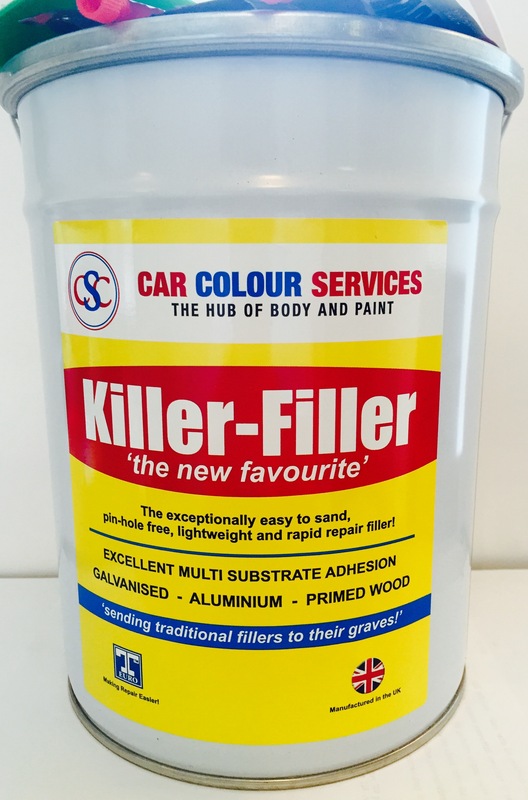 SAND AND FEATHER-EDGE – Sand the filler to shape with 80 grit, then final sand and feather-edge with 180 grit. Remove sanding dust with clean compressed air. 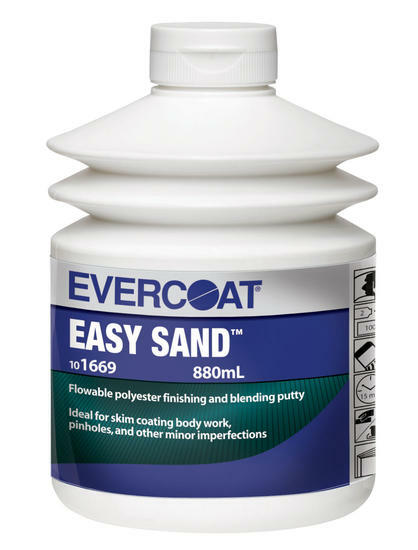 APPLY PUTTY – Apply a thin coat of easy sand over the entire repair with even, firm pressure to provide a primer-like finish. Note: Putty is optional when using Rage Gold. SAND – Sand and feather-edge the putty with 180 grit. REMOVE SANDING DUST AND INSPECT – Remove the sanding dust with clean compressed air and inspect area for coarse sand scratches, pinholes, or imperfections.